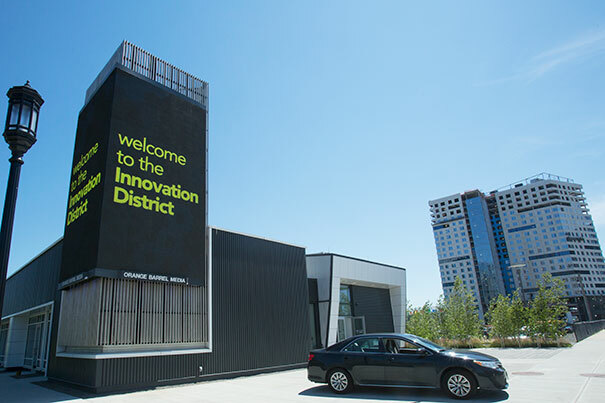 Eager to jump-start local businesses and provide badly needed jobs amid the deep recession that hit in 2008, big-city mayors and real estate agents alike latched onto a shiny new mantra they hoped would fill their surplus of empty office buildings and vacant lots: innovation districts. Once-thriving manufacturing hubs such as Pittsburgh and Detroit have been working to move beyond heavy industry to become like Cambridge and Boston, metropolitan regions rich in academic research and banking institutions. More than a dozen U.S. cities have designated sections of their downtowns as micro business empowerment zones targeting the innovation economy. By transforming underutilized industrial areas or waterfront land, as Boston’s Innovation District did, local government officials are betting that a strategic mix of universities, established companies, and startups in growing sectors like technology and health sciences will attract a critical mass of entrepreneurs, which in turn will stimulate retail and service industries, spur development of housing, and ultimately drive up property values. Part of the lure of such areas is cheap office space and reduced regulatory red tape.